Kid Creole And My Coconuts Is a delightful, dance able and very personal documentary memoir chronicling Swiss – born artist/choreographer/designer Adriana Kaegi’s adventures as Mama Coconut — co-founder of the 1980s multicultural tropical funk machine called Kid Creole and the Coconuts and wife to August Darnell the mercurial man behind the glamorous combo. From jamming in scrappy downtown New York underground dives to performing for American Presidents and Lady Di, Kid Creole and the Coconuts’ dazzling success charted the arc of a decade — and the rise, fall and rise again of the band the New Musical Express (among others) called The Best Live Band in the world. At the center of it all was the stylish, multi-talented Kaegi with an early video camera, “making reality TV before it even existed!” as she laughs. With a rare intimacy, she documents the band’s extraordinary experiences, both global and internal. Propelled by the compulsive rhythms of the Kid Creole and the Coconuts extravaganza, this documentary will leave you singing – “You can take anything, but don’t take my Coconuts”! Rent or Download film here. Do you believe in magic? Legendary Fashion/Night-life Photographer Royalty, Roxanne Lowit does. She has visual chronicles from the past thirty years, of magical moments only she can capture. Her photos have appeared in major fashion magazines, museums and galleries worldwide and her published books are sold out. Roxanne who singlehandedly created the backstage scene and changed fashion photography forever, has become as much a celebrity as those she photographed. Find out what fashion photographer David LaChapelle, Actress Fran Drescher, Legendary super model Pat Cleveland and others, have to say about Roxanne and her body of work. Rent of Download film here. Everyone Gets The Shot (a 15 min. film about Mr. Totally Cool aka Richard Renda) ! Everyone gets The Shot, that is Mr. Totally Cool’s philosophy. He is known as the International Press Core Ambassador, at New York Fashion Week, a self appointed, and important role, Richard Renda, aka Mr. Totally Cool, has been fulfilling for decades, benefiting designers and media alike. This charismatic character has created a sense of community among the Fashion Media, which he rules. This is New York! Dancing Burningman is a visual treat and a philosophical quest for the true meaning of Dance. Burningman is known to be a unique experiment of art and community. It is a perfect playground to experience self expression and freedom. 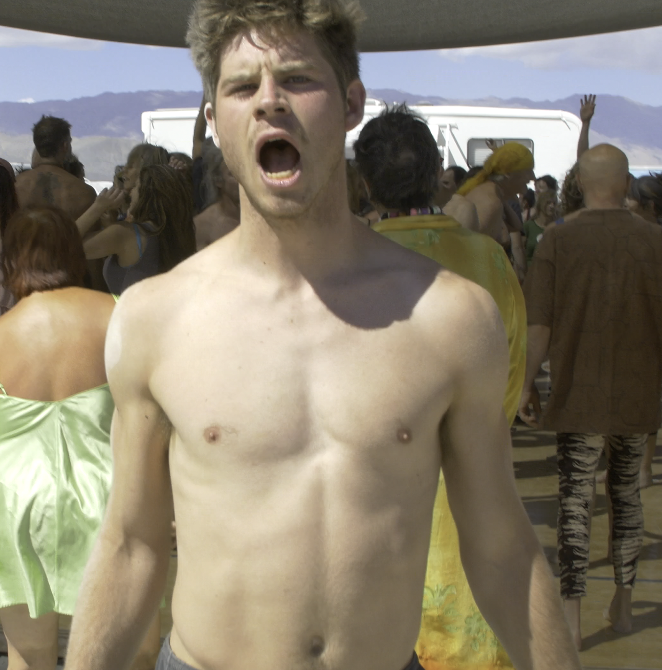 This film takes you on a journey through Black Rock City. The stunning images and interviews with burners undoubtedly reveal that dance is a big part of Burningman. The film features original music by DJ’s Kalabrese(CH),Tony Carrasco & John Metus (IT), Snake Koch(ZA), Bambooloo (CN), and by the producers, Oliver Stumm (USA), Heiner Zwahlen (USA), Ron Rogers (USA); and there are also songs by the band called FIM.